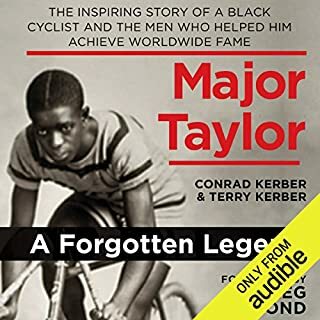 I really enjoyed this story about a Major Taylor. A great American hero that was loved everywhere in the world, but never completely accepted here in America. He succeed in becoming the first black American world champion in cycling. The narrator was not up the level a book like this deserves. In addition the countless mispronunciations (including the name of Greg LeMond in the forward), there where times the narrator was droning through sentences as if he was just trying to get this done. Please re-record this wonderful book and get Don Chesal’s to read it. Would you listen to Black Privilege again? Why? I recommend reading "Black Privilege" every December. The book will help you get your look and priorities in the right prospective for the next year. Charlamagne’s ability to completely and deliberately honest. 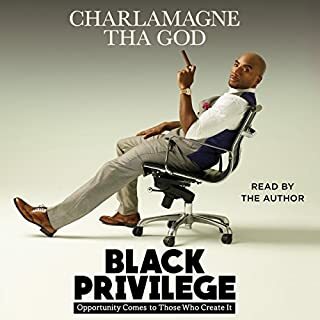 Have you listened to any of Charlamagne Tha God’s other performances before? How does this one compare? Yes, the story about reading his wife's (then girlfriend's) diary.